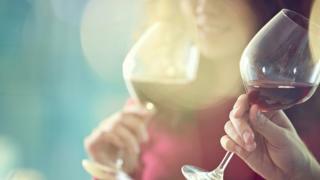 But experts warned that the findings do not offer a "green light" to drink more red wine. Previous studies have suggested that the health benefits of polyphenols are linked to them being antioxidants that protect the body from harmful free radicals. However, recent studies have indicated that polyphenols might also boost health by working with "good bacteria" in our gut. For this study, in the Journal of Agricultural and Food Chemistry, scientists looked into whether wine polyphenols might also be good for oral health. Researchers compared the effects of two polyphenols from red wine against grape seed and red wine extract supplements on bacteria that stick to teeth and gums and cause dental plaque, cavities and gum disease. They found the wine polyphenols and extracts all reduced the bacteria's ability to stick to the cells, but the polyphenols - caffeic and p-coumaric acids - were more effective. When combined with the Streptococcus dentisani - believed to be an oral probiotic, which stimulates the growth of good bacteria - the polyphenols were even better at inhibiting the pathogenic bacteria. Where do you find polyphenols? Red wine is rich in polyphenols but they are also found in a range of other drinks and foods. The report's authors acknowledge that their study was limited by the fact it was done outside of the human body with cells that simulated gum tissue. And they said further research was needed to determine more about what was causing the bacteria to be inhibited. They said metabolites which form when the digestion of polyphenols begins in the mouth could also be responsible for some of the effects in the study. The British Dental Association's scientific adviser, Professor Damien Walmsley, said the study was "interesting" but it did not mean people should start drinking more. "In fact, the acidic nature of wine means that consuming a lot of these drinks will damage the enamel of the teeth," he said. "Therefore, until the benefits of this research are shown clinically, it is best to consume wine in moderation and with a meal to minimise the risk of tooth erosion." Naveed Sattar, professor of metabolic medicine at the University of Glasgow, said the research was "interesting" but still "very preliminary". "However, the findings do not support drinking more red wine to stop people getting infections," he said. "There is no good evidence that drinking wine per se is overall good for health - on the contrary, more and more evidence from other sources now suggests the less wine or alcohol one drinks, the lower the risks of range of disease and the lower the mortality risks."